Back in 1987, longing to get away from her domestic routine as a wife and mother but living uncomfortably close to the breadline, Fran Adams scrimped and saved until she had scraped together just enough cash to take her teenage sons on a cycling tour of Brittany. They found themselves having to deal with torrential rain and furious gales, frequent punctures and mechanical hitches and encounters with eccentrics from both sides of the English Channel, but in the end their tight budget did not stop them having the holiday of a lifetime and collecting some never-to-be-forgotten memories, so much so that the following year they went back for more. 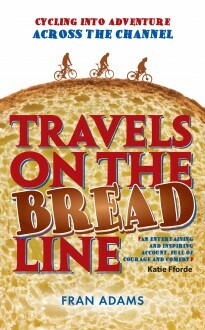 Travels on the Breadline is Fran’s memoir of two simple but happy holidays with her boys.